Here's a guitar player I bet most of you guys don't know. I remember playing Chet Baker's Last Great Concert from 1988 in my car stereo all the time somewhere in the mid 90s. The album had been recorded just 2 weeks before he fell out of that hotel window in Amsterdam. Besides being a really great album with Chet playing superbly, what struck me at the time was the guitarist that played so fine on it. His name was John Schröder and he was German but surprisingly I had never heard of him. Over the years I kept on returning to that album and kept marvelling at this guy's playing. His solo's on that album are short - he does not get that much space - but are so lyrical and hip. 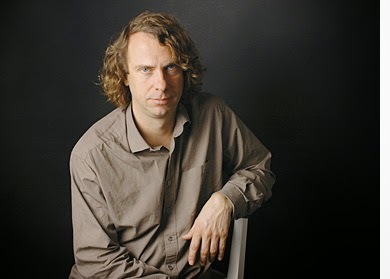 Then I met Jesse van Ruller in 2000 when I jammed with him at the Crow and when we talked about guitar players that had inspired him and he soon mentioned John Schröder's solo on "In Your Own Sweet Way" on that album as a great source of inspiration. So time for you to check it out. It's magnificent and among Cher's best work IMHO. The guitar work by John on "Summertime" and "In Your Own Sweet Way" is superb. I regularly go to jam sessions and I am currently hosting one myself in the village of St. Oedenrode. 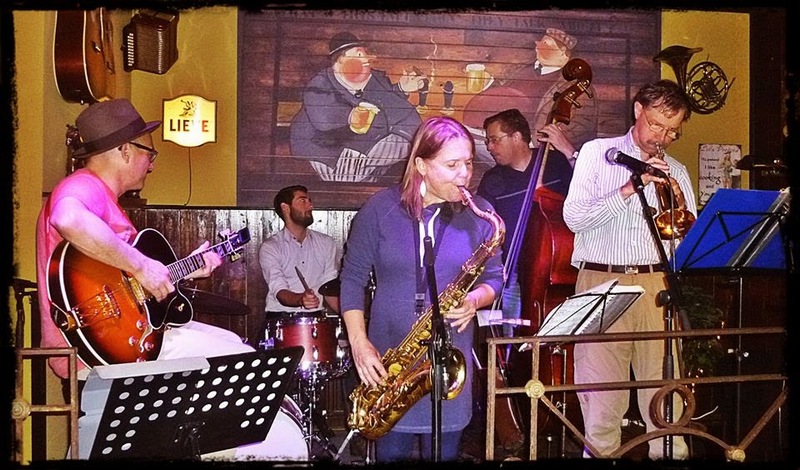 Another one that I started 15 years ago at the Crow in Eindhoven (Jazz at the Crow) is still going strong. So I have seen a great many jam nights. Some really great nights, many so so and some pretty awful. I did some research on jazz jam etiquette and then added my personal experience and that of a few other experienced players to come up with some guidelines for effective jazz jams. I have sinned against many of them myself in the past so don't get too upset. It is a good idea to have a rhythm section (backline) consisting of piano or guitar, bass and drums. The session leader usually starts off playing a couple of tunes with the backline, after which other soloists can take the stage. Two chord instruments in the backline makes no sense at all and will unnecessarily clog the music and kill the transparency of it. So choose either piano OR guitar OR keyboard as chord instrument. But not all at the same time (which I have actually seen happen quite often). Guitarists should behave like horns if there is a piano in the rhythm section. Piano players should be careful with their voicings. Comp sparingly and use space. All too often piano players (or guitarists) utilize the full tonal range of their instrument with huge chords (bass, mid and treble notes) and all kinds of extensions and alterations without listening to what the melody suggests or what others are playing which makes the comping pretty ineffective and counterproductive. Comp lightly with two voice or three voice chords. Use many spaces so that the music can breathe. I hate the cacophony of sounds that I hear at so many jazz jams. If you are in the rhythm section/backline do NOT take a solo on every tune, especially not if there are many players out there that want to play. Reshuffle the backline regularly when there are more rhythm section players. Find out if your musicall skills more or less match the general level of the jazz jam. Otherwise it can get embarassing. Check out first what is going on before you leap on that stage. Some jams are great for beginners, others not so. Play a few tunes and then get off that stage. Nothing is as annoying than a guy that is on that stage all night. Two or three tunes will do. Then leave the stage for others to play. One of the most annoying mistakes made by musicians in jam sessions is to take too long solos. If your solo doesn't really fly, end it, there will be another tune. But if you really feel your solo comes directly from outer space, do carry on! Learn some tunes that you love, and do them. It is probably not a good idea to sit in on tunes that you don't know. If everybody on stage is buried with their head in their Realbook or iPad, chances are that the interplay is not going to be that great. On ballads split up the head and solos into half choruses so the tune doesn’t go on too long. The standard “road map” for AABA ballads is typically to split up the melody in half by two different players, have two players solo half choruses, and then jump to the bridge melody out. When a singer joins you on the stage, play just ONE short solo and let the singer shine. I always pity the ladies that have to wiggle their butts on the stage for minutes on end without singing. It can get really embarassing. Call standard tunes and do them generally the standard way. No one wants to hear Carla Bley tunes with no bar lines performed at the speed of light. Do not take your own tunes for others to play. Remember the solo order so when trading fours come up. Not always will the bassist be involved. Bring your own instruments. Guitarists and bassists can probably use the amps on stage, but ask before you plug in. Playing bebop convincingly is pretty hard. It requires both talent and hard work. It usually takes a number of years, dedication and motivation to develop a jazz voice that is worth listening to. And IMHO, without a really healthy dose of talent it will be next to impossible to play it on a creative and advanced level, no matter how many hours you put in. It is that hard. So, never take great jazz music or accomplished bebop musicians for granted. Bebop is a pretty demanding language to learn and requires a lot of commitment. If you think that is an elitist view you have clearly never studied it yourself. I came across this clip on the tube that perfectly addresses the issue of the complexity of the bebop language. I like especially the following quote that is in it: "It took Bill Evans 53 seconds to improvise the following chorus on May 6 1964. In it, there is a lifetime of information to study." The analysis of the improvised chorus by Bill Evans shows what is meant here. 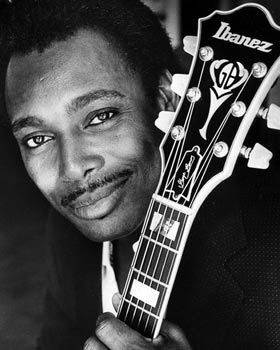 George Benson is one of the hottest bop players on the planet. When he plays bop that is :) I showed his insane chops on "Take Five" earlier here in my entry about the Ibanez FG 100. That video must be one of the hottest jazz guitar videos on the tube, if not THE hottest. Check it out. 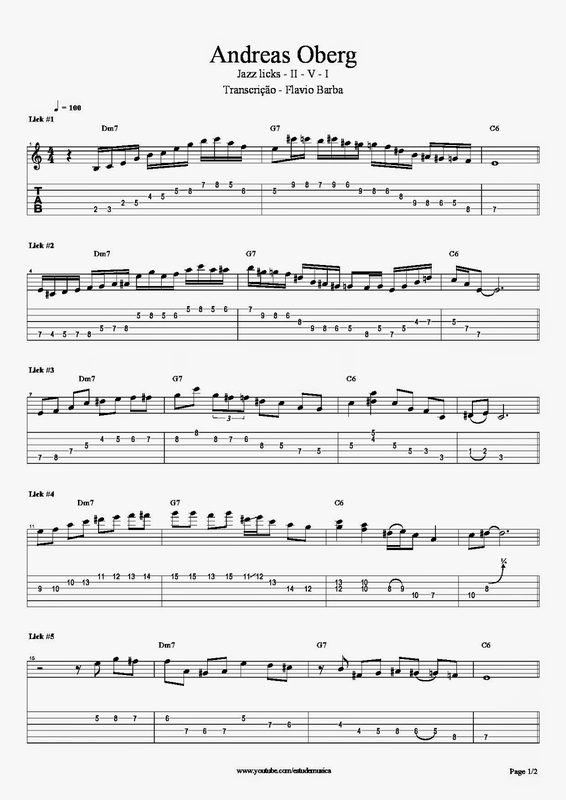 For those that think they can pull it off (haha, no way, Jose) here's a transcription of that killer solo. It includes the fingerings even. The man is something else. Andreas Oberg (1978) is surely one of the best European bebop players. And a pretty hot gypsy player too! As a kid he took up the guitar and aged 16 he took his first jazz guitar lessons. 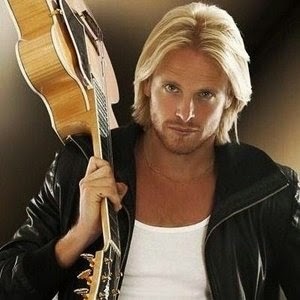 In 1998 he started his studies at the Royal Music Academy in Stockholm from which he graduated 4 years later. In 2004 he released his first album. These days he is a a very successful writer and producer of pop songs in Asia too and he runs his own on-line guitar school. The guy has some serious chops and likes to put his speed on display. He must be one of the fastest guns in guitar bop town. "I've never liked players who hit the strings hard except for some of the gypsies who does it naturally on acoustic. I like players who play clean and relaxed at all speeds like George Benson." The following track is from his 2005 album : Young Jazz Guitarist". Bop till you drop! 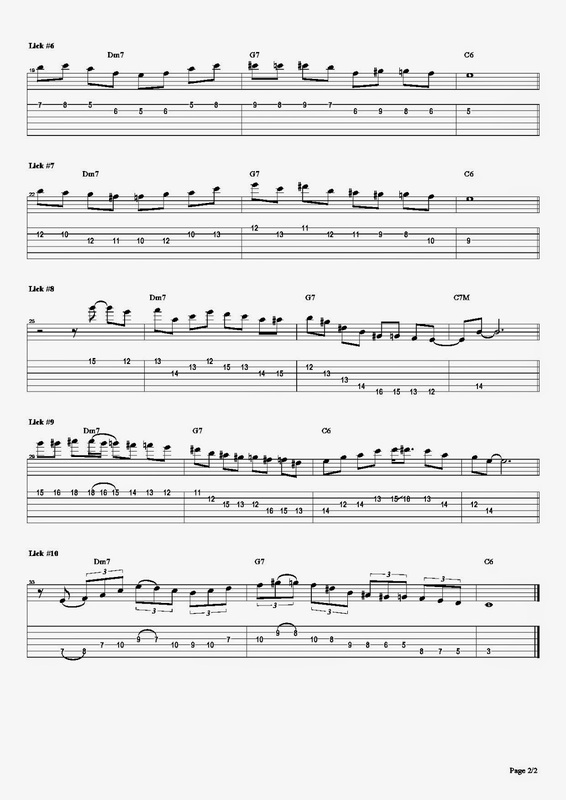 Flavio Barba has transcribed some of his II-V licks. He gave me permission to post his video and his transcriptions here. Very nice stuff. Thanks Flavio! Watch the vid and then check out the charts.